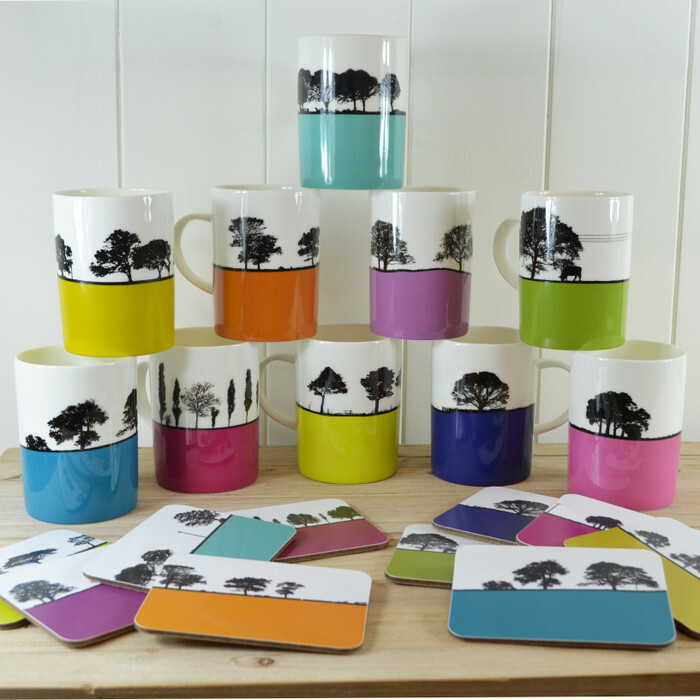 Shop landscape bone china mugs designed by Jacky Al-Samarraie. These beautiful screen printed mugs come gift boxed and are dishwasher safe. Jacky Al-Samarraie’s abstract take on Great British landscapes is unmistakable – and has now been immortalised in a range of fine landscape bone china mugs produced in English pottery capital Staffordshire. Each gorgeous design features either intricately detailed outlines of trees set against a bold combination of stark white and bright popping colour or an instantly recognisable urban cityscape. These boxed mugs make wonderful gifts – and can be mixed and matched for use at home. Dishwasher safe – wash bright colours with care.